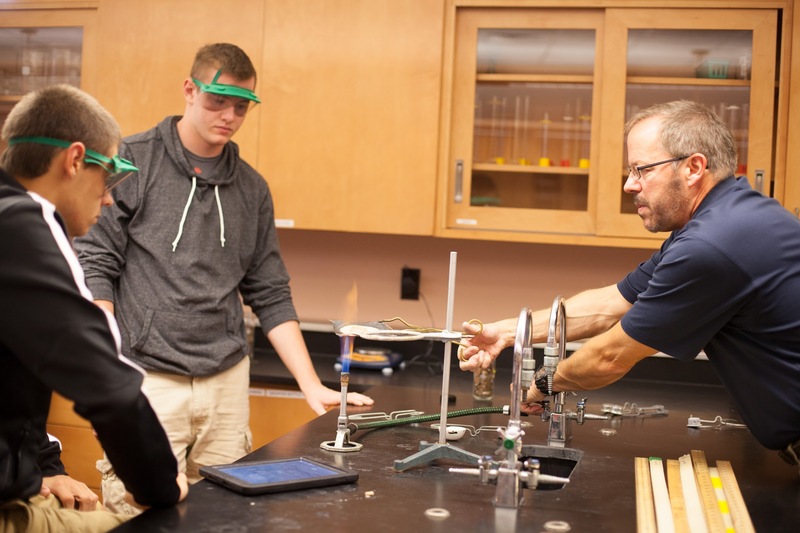 Prairie’s Upper School curriculum features courses that offer appropriate challenges to students preparing for the demands of college and future careers. Students may select from regular college-preparatory classes, or from a broad array of Advanced Placement courses. Our English courses develop strong writing, reading, and analytical skills. Prairie is a recognized leader in mathematics instruction. In fact, our students regularly score above the 90th percentile in the Mathematics Association of America’s High School Math Exam, one of the most demanding tests in the nation. In science, Prairie goes beyond traditional courses to offer electives in Anatomy and Physiology and Environmental Science. Our French, Spanish, and Chinese students may choose to participate in optional trips to the country of their respective language study. Social Studies courses focus on content mastery as well as research skills to foster independent, critical thinkers. The 2018-2019 US Curriculum Guide and Course Listings are available to download and print as needed. The School requires a student to be active in community service throughout their four years in the Upper School. Service is defined as volunteer work for the School, a civic community organization, and certain religious activities that are pre-approved by the Service Hours Coordinator (e.g. soup kitchens, mission trips, etc.). It does not include work done at home for relatives/family and friends. A student is expected to complete 25 hours of service by May 15 of each academic year. A desirable goal is partial completion (12 hours) of this requirement by February 15. Students may work ahead (during the summer) to complete their service hours for the upcoming year and are encouraged to do so. Of the 100 hours needed for graduation, we encourage students to earn 20 hours (minimum) through non-Prairie School organizations. Download and print a copy of the Service Hours form that must be completed and submitted to the US office or Service Hour Coordinator.